Prince’s Golf Club has opened its completely revamped short-game area to further enhance the world-class facilities on offer at the club. The Sandwich club’s latest investment of £50,000 into elevating its facilities sees the creation of a larger putting green, and two further greens with surrounding pot bunkers for pitching and chipping. The work to the enhanced practice area began in August 2017 and has opened this summer for full use. 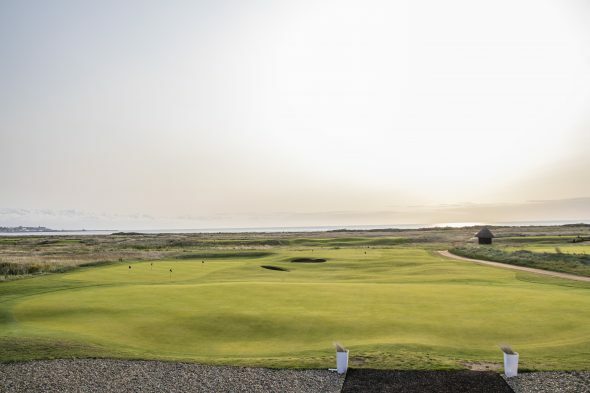 The new short-game facilities were first put to the test by the Open Championship hopefuls who contested Final Qualifying at Prince’s in July. “We used half of the old chipping green for the new par-3 5th hole on the Himalayas 9, which opened up space for us to create two new practice pot bunkers and additional run-off areas. The club recently opened the reimagined Himalayas 9 and will carry out works to the Shore and Dunes loops in an ambitious phase of redevelopment. Prince’s features 27 holes of championship quality links as well as excellent accommodation at The Lodge and a 2AA Rosette restaurant.